Open Channel / Flying Carpet Films / ABC Television. 1995. Writer/Director: Steve Thomas. CD (ST) ABC. 4797872. 1995. Many thanks to Marion Crooke, John Moore and Steve Thomas, the National Film and Sound Archives and Tim Mann. * Sung prior to 1951 while studying overseas. 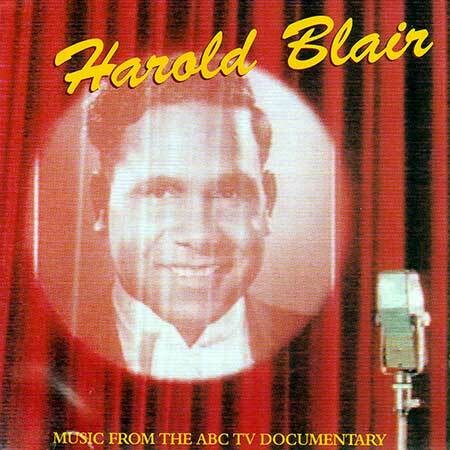 Digitally remastered by Neil Smith, ABC Radio Archives, Sydney. I'll Walk With God. (Brodsky, Webster). (Warner Chappell). The Holy City. (Public Domain). E Lucevan Le Stelle. * (Puccini). So Sweete Is Shee. * (Johnson). (Control). from Dichterliebe No.2 Aus Meinen Thra-nen Spriessen. * No.3 Die Rose, Die Lilie, Die-Taube. (Scumann). Nessun Dorma. * (Puccini, Adami, Simoni). (B&H). Il Mio Tesoro. * (Mozart). Bangee Rang An-An-Ah. (Letherbridge). (Allans). Jabbin Jabbin. (Letherbridge, Loam). (Allans). Maranoa Lullaby. (Letherbridge, Loam). (Allans). Arise Oh Sun. (Day, Lockton). (EMI). I Attempt From Love Sickness To Fly. (Purcell, Arr: Britten). (B&H). Sylvia. (Scollard, Speaks). (G. Scheimer). I Love Life. (Cassell, Zucca). (MCA). Your All One In The Sight Of God. (Public Domain). How Great Thou Art. (Public Domain). You'll Never Walk Alone. (Rodgers, Hammerstein). (EMI).